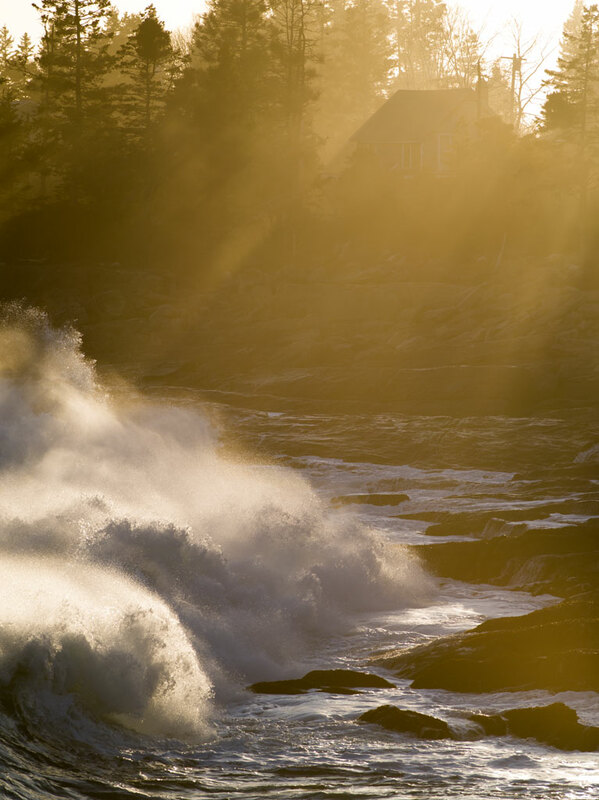 In March 2013, a storm surge was reaching land at Pemaquid Point in Maine. The storm was well out to sea. The skies were clear and periodic swells rushed into the cove just below the lighthouse. Click on the image for a larger view.